Chikungunya virus (CHIKV) is a mosquito-borne virus that causes epidemics widely in the world especially in the tropical and subtropical regions. Phylogenetic analysis has found that the CHIKV lineages were associated with the spatial and temporal distributions, which were related to the virus adaption to the major mosquito species and their distributions. In this study, we reported the complete genome sequences of eight CHIKV isolates from the outbreak in Pakistan last year. 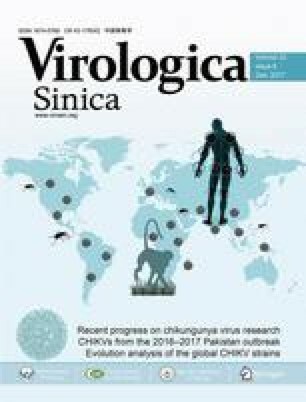 Then we reviewed the evolutionary history using extensive phylogenetic analysis, analyzed lineage-specific substitutions in viral proteins, and characterized the spreading pathway of CHIKV strains including the Pakistani strains. The results showed that the Pakistani stains belonged to the ECSA.IOL sub-lineage and derived from India. The genetic properties of the Pakistani strains including the adaptive substitution to vectors were further characterized, and the potential risks from the occurrence of CHIKV infection in Pakistan were discussed. These results provided better understanding of CHIKV evolution and transmission in the world and revealed the possible origination of the CHIKV outbreak and epidemic in Pakistan, which would promote the disease prevention and control in the identified countries and territories with the history of CHIKV infections as well as new regions with potential risk of CHIKV outbreaks. Supplementary material is available for this article at 10.1007/s12250-017-4077-5 and is accessible for authorized users. This work was supported by the Science and Technology Basic Work Program (2013FY113500) from the Ministry of Science and Technology of China, the International Cooperation on key Technologies of Biosafety along the China-Pakistan Economic Corridor (153B42KYSB2017 0004), the Strategic Bio-resource Service Network Plan and Building the Biogenetic Resource Preserving Capacity Program from the Chinese Academy of Sciences (ZSSB-002), and was funded by the National Basic Scientific Data Sharing-Service Platform (XXH12504-3-15).